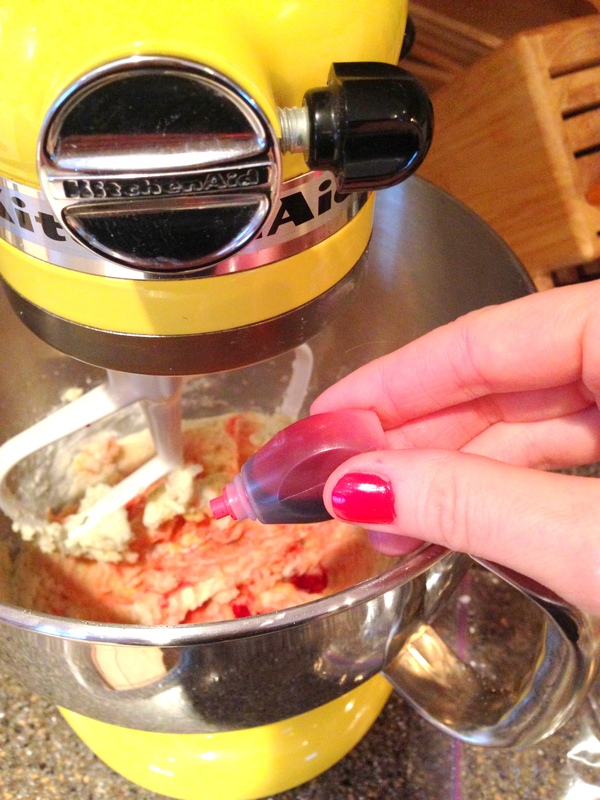 Just before adding the flour to the cookie dough, I added some red food coloring to make the cookies pink because if you’re making giant heart cookies why not make them pink too? After chilling the dough, I rolled it to about 1/2″ thick and cut. I am still amazed at the size of this cookie cutter! It was tricky maneuvering the cookie, so I used a little butter knife to scoop out the smaller pieces, then a large spatula to help me move the giant cookie. I got 2 giant cookies out of a 1/2 recipe. Once cooled, it was time to decorate. 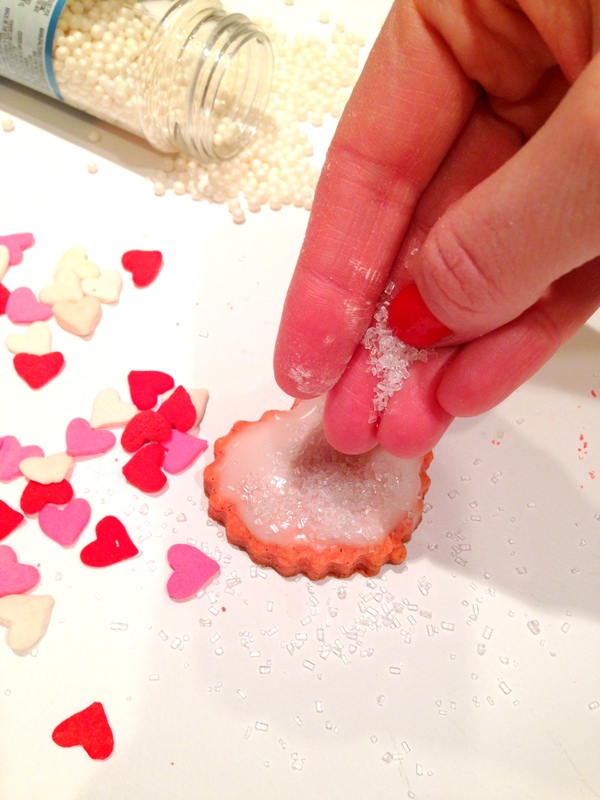 I made a quick icing with powdered sugar and milk – thick consistency so I could use it as a glue for the sprinkles. I have to say it was slightly intimidating deciding on decor for a giant cookie! And lots of sprinkles on the little guys. Enjoy! PS. 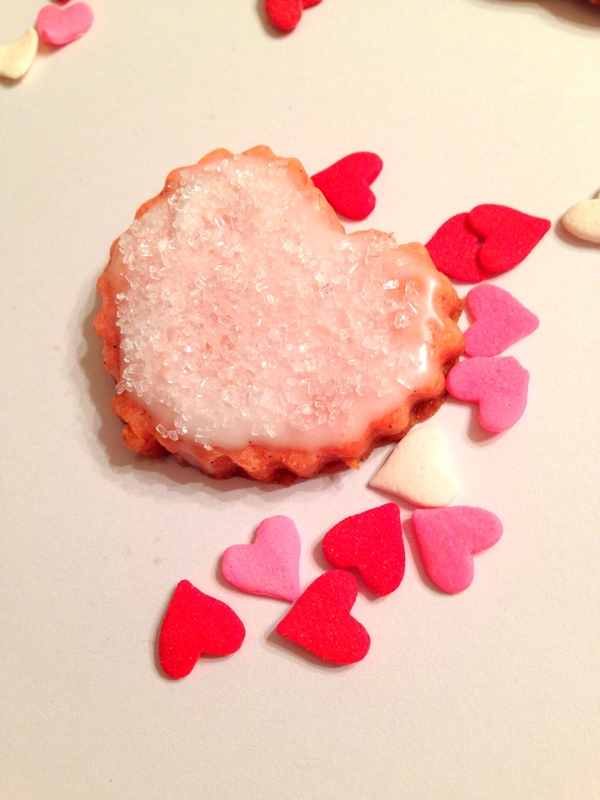 You’re probably wondering where the cute, tiny cookie hearts went? 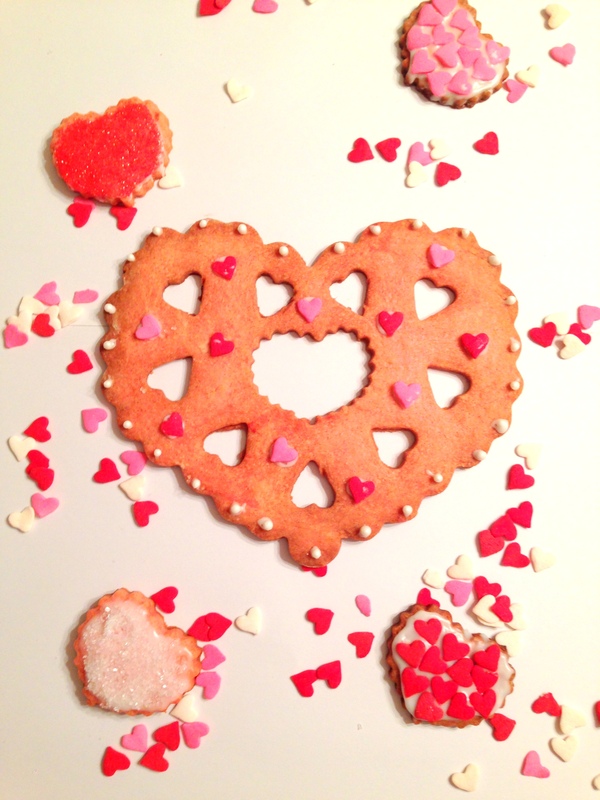 Well, my little sous chef was helping me with this project and…well…these are her absolute favorite cookies and she literally ate all of them in the process of decorating and photo-taking. They were super cute though, trust me! PPS. 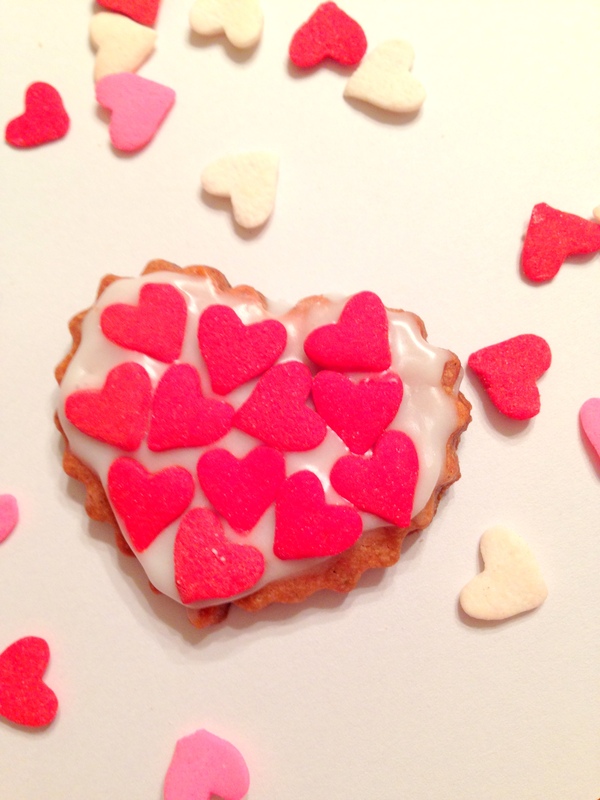 I know it’s annoying when a blogger links to something sold out online (as I did with the cookie cutter) but there are tons in the Williams-Sonoma stores, so go grab yours today at your local W-S before Valentine’s Day. 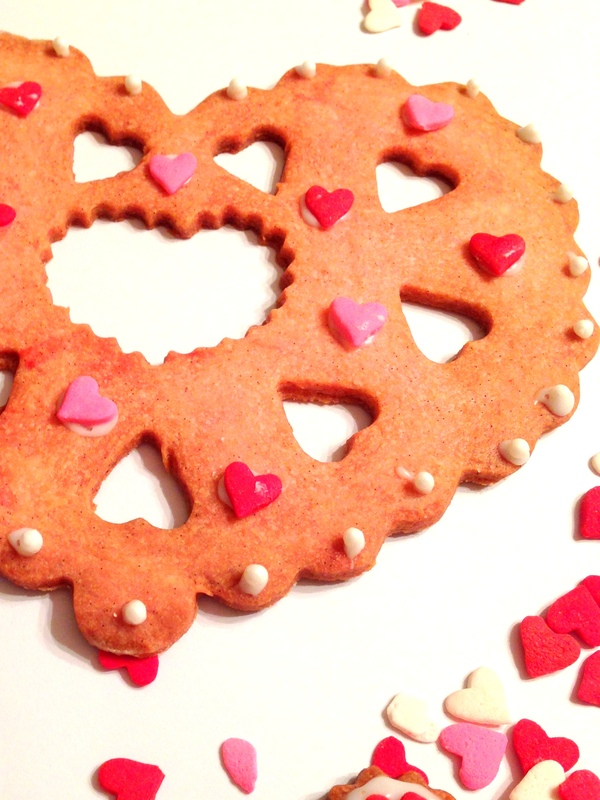 Nothing says I love you like a cookie bigger than your face. Thanks Natalie – they tasted yummy, too! 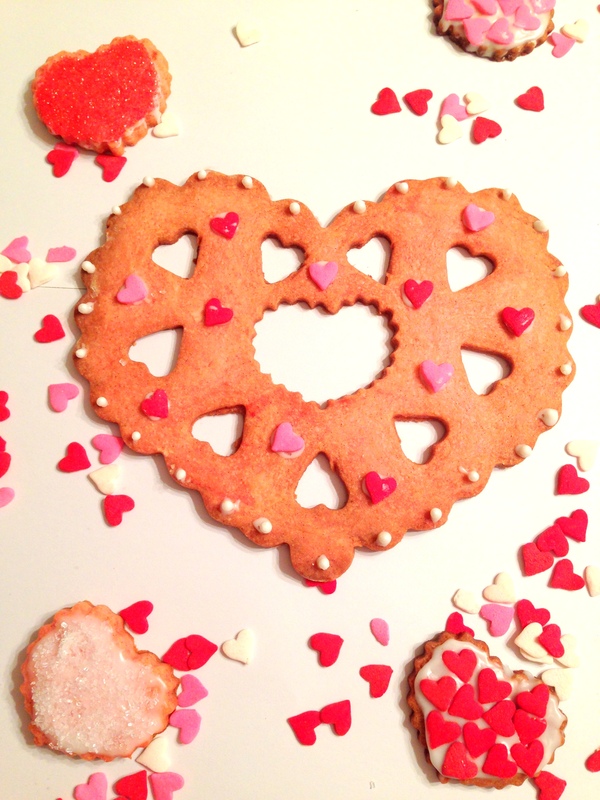 These cookies are really pretty and would definitely stand out! 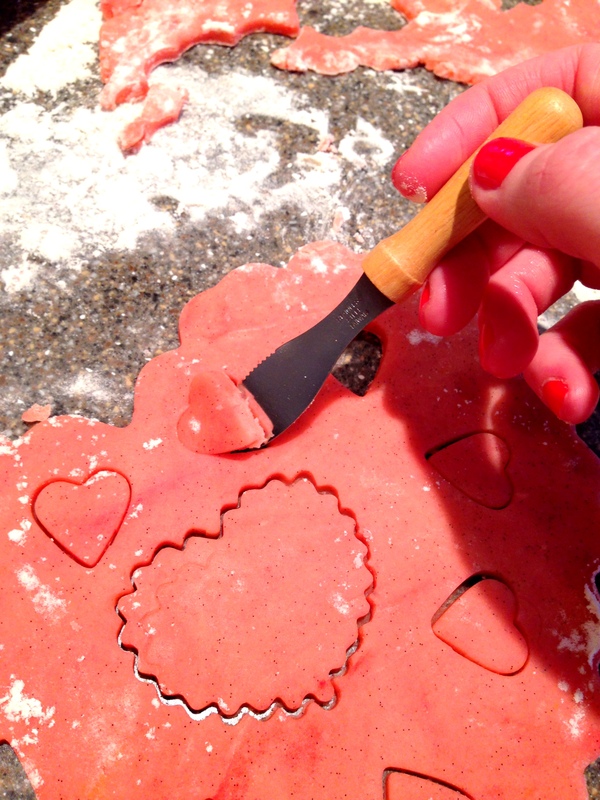 What a fun cookie cutter! 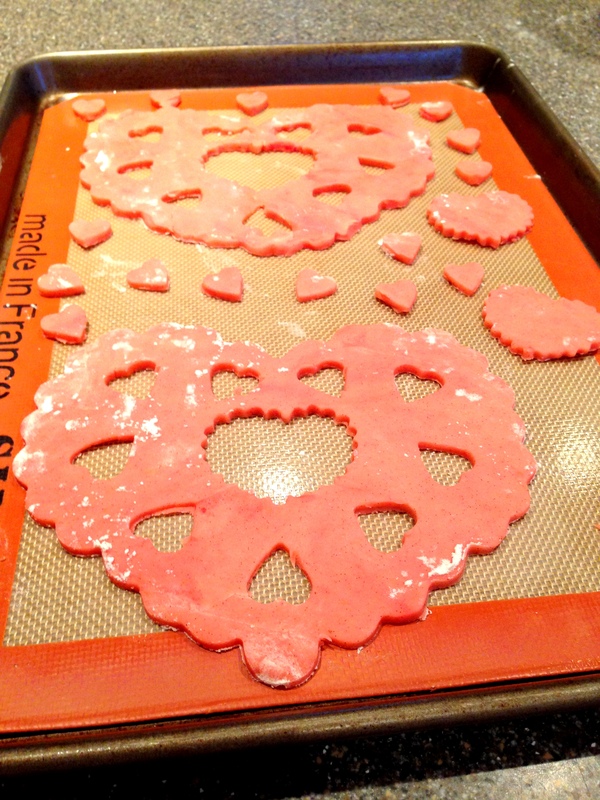 I know – isn’t this cookie cutter awesome? Thanks!